•Have 213 past patients in the HandsofHope program by the end of 2013. 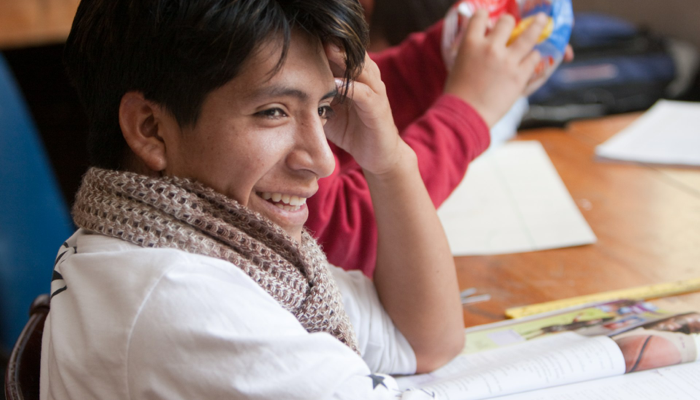 •To improve the level of education in Peru by helping source funds for local Peruvians to set up learning centers. By 2020 a strong network will have been created where past patients from the Hogar, other physical impaired and destitute citizens of Peru, past volunteers, Peru’s business society are working together through social entrepreneurship and social business programs. •To follow the progress of each patient that enters the Hogar San Francisco De Asis and then until they are fully educated, employed and independent. •To find a sponsor and mentor for each patient that joins the program. •To find a full time support center for HelpThemHope; where staff can carry out their work and past patients can meet with staff, have access to computers and receive any other support they may need from social worker or psychologist. •Sponsorship of past patient to cover education: $336 per annum. PersonalPhilanthropy.org supports the HelpThemHope organization because they have demonstrated their ability to raise funds abroad and in Peru, have already enrolled students in local schools and universities and a sound project plan, backed by funds. If you would like more in detail about the HelpThemHope work please contact us by email.